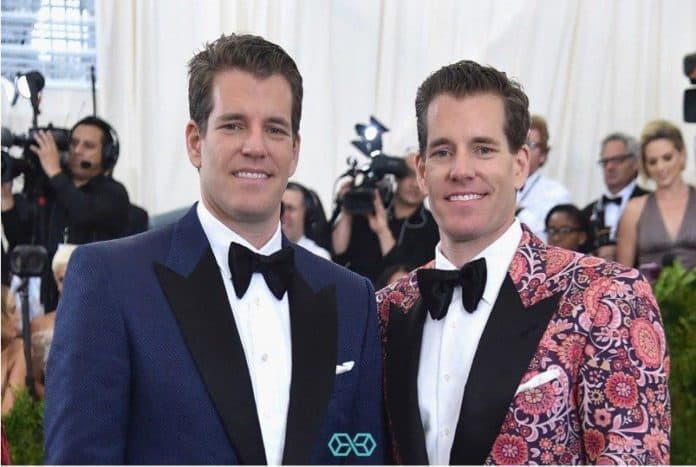 The Winklevoss twins just acquired their second patent in a month for cryptocurrency Exchange Traded Products (ETP). The minds behind Gemini and Winklevoss Bitcoin Trust are more determined than ever to pave the way that leads cryptocurrencies to Wall Street. Winklevoss IP, LLC just acquired a new patent for cryptocurrency Exchange Traded Products (ETP). The United States Patent and Trademark Office (USPTO) made the patent filling public on May 8th, 2018, citing Taylor and Cameron Winklevoss – commonly referred to as “Winklevils” – among the five inventors of a set of new “Systems, methods, and program products for providing an exchange traded product holding digital math-based assets”. The Winklevoss twins appear to have filed for the patent on December 19th, 2017, increasing the number of proprietary inventions of Winklevoss IP, LLC to seven, according to Justia Patents. ETPs are derivative based investments that are commonly traded on securities exchanges. In the case of cryptocurrencies, ETPs are securities that are priced based on the derived value of a cryptocurrency. In fact, derivative based investments in cryptocurrencies already exist in the form of futures contract. CBOE and CME Group already offer Bitcoin futures to accredited investors in Chicago and New York. It’s the second patent in a month for the Harvard graduates’ company, Winklevos IP, LLC. As it appears, the previous crypto-related patent was made public by the USPTO on April 10th, 2018. It concerns “System, method, and program product for processing secure transactions within a cloud computing system”. Taylor and Cameron appear to be pushing further into Wall Street by the day, and they know exactly where they are heading. The founders of major Bitcoin and Ether exchange, Gemini, already faced a few hurdles from US Regulators, notably in March 2017. In fact, they were rejected a patent for Bitcoin-related Exchange-Traded-Funds (ETF) due to “high risk and regulatory uncertainty”. The Winklevoss twins are not very popular within the crypto community, largely due to 2010’s popular movie, ”The Social Network” painting them as weird and wicked preps. Interestingly, the first Bitcoin early-adopters to become billionaires are no strangers to losing their visionary ideas due to improper copyrighting. In fact, in 2004, they sued Mark Zuckerberg for stealing their “Social Network” idea which later evolved to be a multi-billion giant called Facebook. The twins went on to cash a $20 million USD settlement from Zuckerberg. It’s what they did next that made them billionaires: they invested half the settlement money in Bitcoin, in 2013, when few thought it would make it through the year. Knowing that the then-burgeoning cryptocurrency was trading at less than $100 USD, some simple good-old math suggests that the twins are set to live a wealthy life of their own.